The three Divas of light classical music, Badi Motibai, Siddheshwari Devi and Rasoolan Bai were once the undisputed queens of the Poorab Ang or the Benares gayaki of Thumri, Dadra, Chaiti and Hori. Begum Akhtar, of course, was also in the fray but she was better known for her rendition of the Ghazals. Here are a few very rare and precious songs from the empresses of the Poorab Ang. As we all know, Indian classical music is mostly based on the seasons of the year and even fine tuned to the hour of the day. Chaiti is sung in the month of Chait that falls in March or April as per the Hindu calendar. The Chaiti is a musical form derived from folk songs and its theme mostly revolves around romanticism and mood of love. These are certainly season specific songs. The Chaiti songs, like Kajri, have a place in semi classical form also. Most of the songs have wordings like Ho Rama or Are Rama. The lyrics are normally in the Purabi dialect, spoken in eastern Uttar Pradesh and parts of Bihar. On 29th August, 2009, a documentary film was screened at the Bangalore International Centre in Bangalore. The documentary, The Other Song, directed by a young Saba Dewan narrates the story of a lost song recorded in 1935. 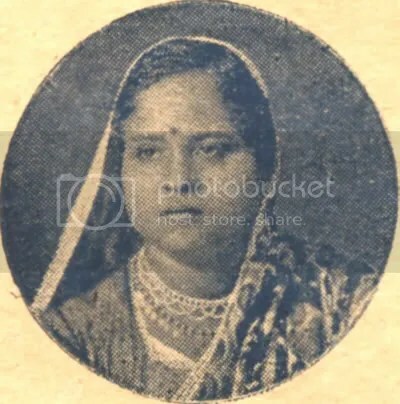 The singer was the famous Thumri singer of Benares, Rasoolan Bai. The ‘other song’ is a variant of the celebrated Bhairavi Thumri sung by Rasoolan Bai, “Phool gendawa na maaro, lagat karejwa mein chot“. But for once she sang jobanwa instead of karejwa in that recording. Till the middle of the 20th century, dancing girls or tawaifs were the only professional women musicians of India. They were highly educated women adept at the arts, literature, poetry and music, when large sections of Indian women were illiterate. Those were also the years when the purists of Indian classical music laid down the norms that formed the musical standards for the time. 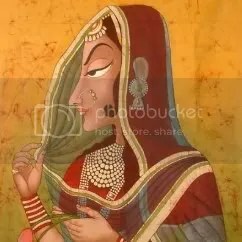 Describing such songs as ‘immoral’ and ‘explicit’, the music of the tawaif became immodest for respectable households. No wonder the song got banished into oblivion. Rasoolan Bai, an excellent singer of the Poorab Ang Thumri, Dadra, Chaiti, Hori and Kajri, was born in 1902 in a village near Benares. She was a celebrated singer of her time and was much in demand in the courts of princely states. She formed the quartet of singing queens of that time along with Begum Akhtar, Badi Moti Bai and Siddheshwari Devi. 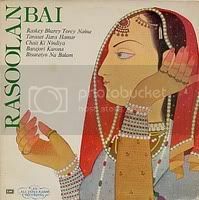 Rasoolan Bai won the prestigious Sangeet Natak Academy Award in 1957, the second woman to be so honored after Kesarbai Kerkar. A Sanskrit scholar and a connoisseur of music mentioned to Saba Dewan, Rasoolan Bai‘s famous Thumri and dared her into finding the version which had jobanwa and not karejwa. The film which sets out to be Saba Dewan’s search for the lost Thumri gradually unravels the many concealed layers, the tawaif as the treasure house of the Thumri, her way of life, her glorious years, now pushed to the margins, and the ‘other song’ right at the bottom of it all. In a moving section, the film recounts the efforts by the tawaifs to contribute to the non-cooperation movement, in response to Mahatma Gandhi‘s call in the early 1920s. When told, Mahatma Gandhi was furious with them. He would not accept them as workers, or take their donation, unless they gave up on their ‘unworthy profession that made them worse than thieves’. It was obvious that Rasoolan Bai never sang the ‘other’ song again. She eventually ended up in penury, running a small tea stall in Allahabad, ironically right next to the All India Radio building where she once sang. She died on 15th December, 1974. Not more than 15-20 of her recordings are available now. Which brings us back to the missing recording. Saba Dewan did eventually track it down, thanks to another dogged sleuth, a professor of English in Kolkata, who listened to each Rasoolan Bai record in his collection and found the jobanwa version. Unlike any other music of the world, hindustani classical music is not only abundant with songs for various moods of the human mind, but also songs for every hour of the day and season of the year. Monsoon, being an unique phenomenon in this part of the world, has an important place in our music. 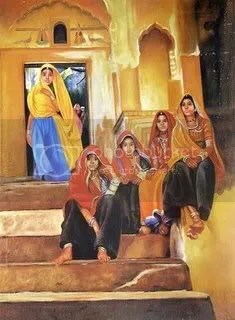 Kajri (or Kajari), derived from the Hindi word Kajra or Kajal, (meaning Kohl or Black), is a genre of Hindustani classical music, popular in Uttar Pradesh and Bihar. In a country of sizzling hot summers, the black monsoon clouds bring with them relief and great joy. This is the moment for the Kajri to be sung. It is often used to describe the longing of a maiden for her lover as the black monsoon cloud come hanging in the summer skies, and is often sung during the rainy season. It comes in the series of season songs, like Chaiti, Hori and Sawani, and is traditionally sung in the villages and towns of Uttar Pradesh : around Benares, Mirzapur, Mathura, Agra, Allahabad and the Bhojpur regions of Bihar. Birha (or Biraha) is another popular Folk song genre of Uttar Pradesh and Bihar. This genre is mood based and the basic theme revolves around the separation of lover and his beloved. Actually ‘Birha‘ in Hindi means separation. The history of this genre is not very old and the earliest reference goes back to 17th century. The possible origination of this folk genre is credited to the incidents where mostly men from small villages used to migrate to cities in search of livelihood. Often they had to leave their newly-weds behind in the village. The lament of separation from both the motherland and spouse led to the birth of Birha. The genre is extremely popular among the farmers and laborers in eastern Uttar Pradesh and Bihar. In the mid-nineteenth century thousands of laborers from eastern Uttar Pradesh and Bihar were taken to Caribbean (West Indies) as sugar plantation laborers. In fact, the laborers and their descendents who now constitute a sizable population in the Caribbean still love this song genre. The best example of this is the growing popularity of Chutney Music, the Soca-Samba version of Birha, in the west especially in the Caribbean Islands. Note : The songs posted above do not necessarily come under the genres of Kajri or Birha. These are merely reflective of the mood of the post. Songs of longing are also sung in the form of Thumri and Dadra.